This month’s Memory That Means the World comes from Haruna, from Japan, and her host family, the Stoy-Celano family. As a new parent, Katherine Stoy often received the well-meaning advice to “wait until she’s old enough to remember,” when considering doing special things with her new baby. However, she noted that “sometimes it becomes an excuse for not doing something memorable with a very young child,” and didn’t want to make an excuse for missing out on the experience of hosting an au pair. Not waiting to host an au pair turned out to be the perfect decision for the Stoy-Celano family. In fact, Katherine met Haruna, who was still on her first year of the program, before Katherine the baby even arrived on the scene. Haruna referred the Stoy-Celano family to the program, and then matched with them for her extension year. “We were looking for someone who loves learning to help our new little girl discover her place in the world. 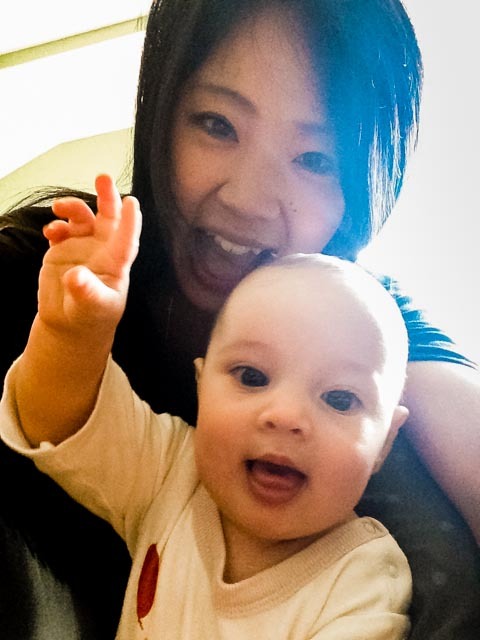 I was already worried about what it would be like to leave a tiny baby behind and go off to work all day, but the first time I met Haruna I knew she’d be the right person to take care of our little girl,” said Katherine. The meeting put both at ease in short order, even though they were both nervous at the start, and had a little mix-up about locations. Katherine was able to stay home for the first couple of months after giving birth to a healthy daughter. When she had to go back to work, she was naturally sad to leave her baby’s side. But by this time, the family had begun their year with Haruna, so she was there to help. Haruna also took extra steps to help share special moments. While some of these special moments won’t always stick in a child’s mind, the rest of the family – including Haruna – will never forget their time together.